Blake Starwater and the Adventures of the Starship Perilous #1. After being contacted by an Aran — a race of beings known as "eight-leggers" — the crew of the Perilous travels to a planet that is home to one of the Known World's largest volcanoes, and the ruined science orbital floating overhead. Their job is to discover whether the Aran's progeny have survived the catastrophic blast, and if so, to return with them. Will the job be a breeze, or will the crew find themselves in yet another sticky situation? 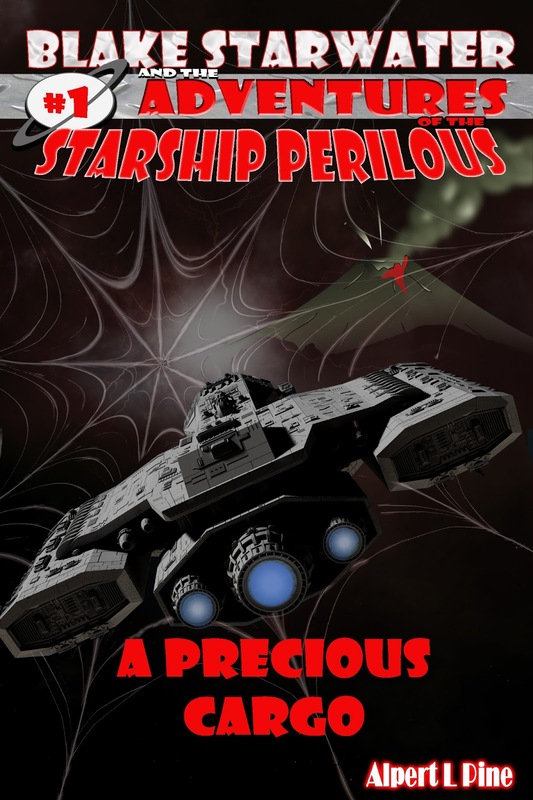 Blake Starwater and the Adventures of the Starship Perilous: Adventure #1.